There'll be no excuse left for not seeing Spencer Halpin's documentary exploration of video game violence, Moral Kombat, as the film will soon be available on every web-enabled device imaginable. 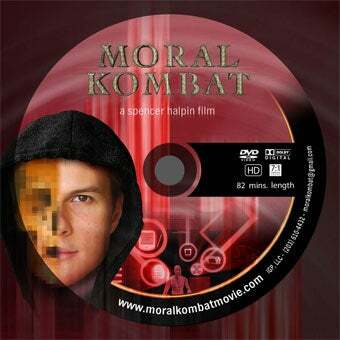 Moral Kombat is a compelling documentary that explores video game violence from both sides of the argument, created in 2007 by Spencer Halpin, the brother of Entertainment Consumer Association president Hal Halpin. The movie, which was available to watch online for free earlier this year, will soon be available from Amazon OnDemand, iTunes, Hulu, Xbox Live, the PlayStation Network, and Netflix. Considering all three consoles now support Netflix, if you've got a console, you've got Moral Kombat. Spencer himself is quite ecstatic about the wide availability. "I couldn't be more proud to see the movie gain such amazing support from the industry. It's taken a while to see Moral Kombat distributed the way that I had always hoped, but it's been more than worth the wait. Technology has advanced significantly since the film's inception – and it's interesting to note that it was also the very first feature-length high-definition documentary shot. So it being available for people to watch in so many settings, from viewers experiencing it through a game console, iPhone or laptop… it's just very rewarding as a filmmaker to have your work that readily consumable." For more information on the film, check out the official Moral Kombat website, or better yet, watch the damn thing already - you might learn something.